Every client is different. Eliza applies a practical approach and identifies early exactly what the client wants from the existing or proposed litigation. She works closely with clients to determine their objectives and to develop a litigation strategy. Prior to coming to the Bar, Eliza practised as a solicitor for 17 years including senior roles as a Principal Solicitor at VGSO (2010-2017) and Senior Associate at King & Wood Mallesons (2004-2010). She was Associate to Justice Peter RA Gray AM of the Federal Court of Australia (2001-2002). Eliza represents clients in all areas of public and commercial law. Her public law experience includes judicial review, FOI, migration law, anti-corruption, regulatory enforcement, civil appeals and disciplinary proceedings. 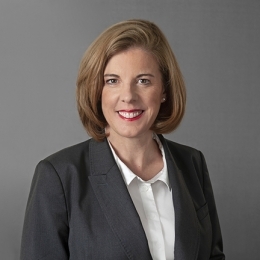 Eliza has considerable experience in IBAC, Royal Commissions and Boards of Inquiry. Eliza’s commercial law experience includes building and construction litigation and arbitration, leasing disputes, commercial disputes, civil appeals and insolvency. Eliza has particular expertise in land acquisition, planning and environment law.